They're "fuzzy." They're "camouflage" -- or "polka-dot" or "grey," depending on which you happen to pick up. According to WB, they're "chic," "colorful" and "plush." We would argue that they are "loud" in two different ways. And they're also "free." Appropriately, there are plenty of adjectives to describe the Super Scribblenauts pre-order bonus, the Adjectivized Headphones. Unless you pre-order your copy of the game from GameStop, they're also "inaccessible." 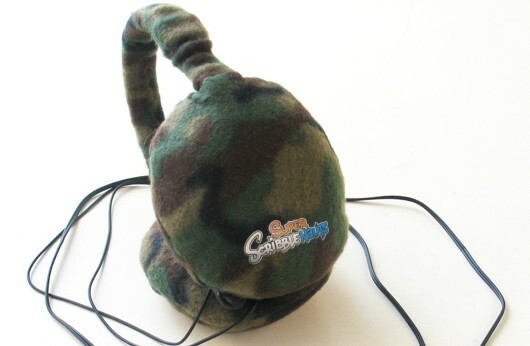 The headphones will be handed out (in the three aforementioned color schemes, randomly selected) with pre-orders of the game on its October 12 release date. And they'll totally look "awesome" worn over a Rooster Hat. Listen to Super Scribblenauts in style with GameStop's pre-order bonus originally appeared on Joystiq on Tue, 10 Aug 2010 22:15:00 EST. Please see our terms for use of feeds.